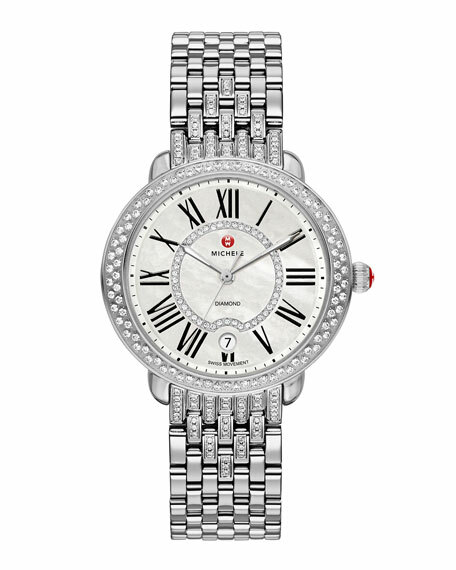 Over one hundred glittering diamonds encircle this elegant Michele Watches Serein watch head. 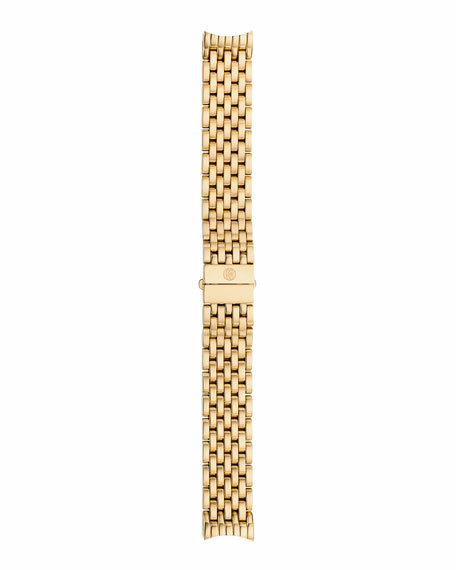 Bracelet sold separately. Stainless steel case, 34 x 36mm. 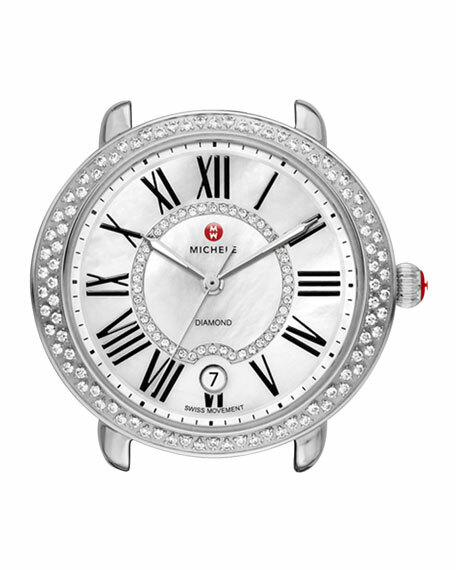 Bezel adorned with 134 pave diamonds; 0.5 total carat weight. 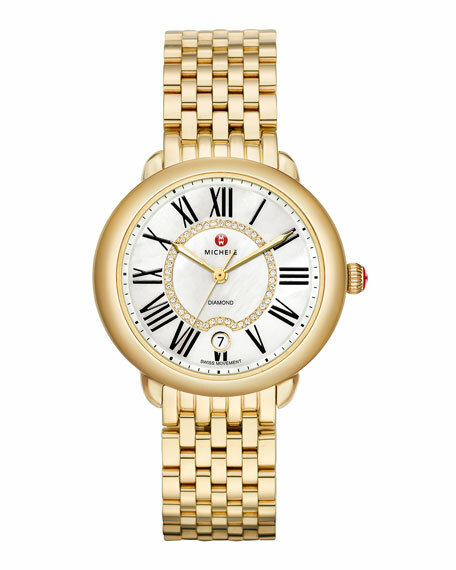 Interchangeable with any MICHELE 16mm strap (sold separately).